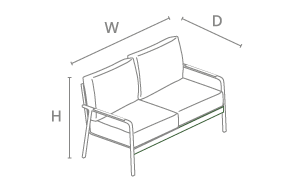 The Paros Lounge includes two armchairs and a double sofa as well as a slat coffee table for your garden. 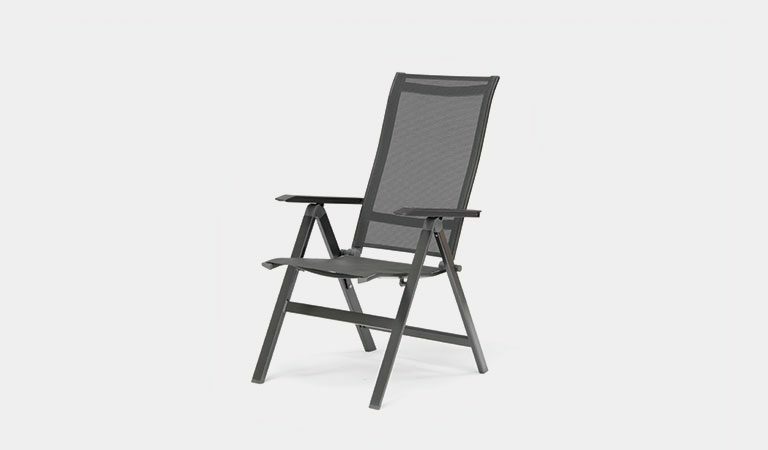 Thick back and seat cushions provide maximum comfort while you sit back and enjoy the warm weather. The wood effect arms are hand painted and lift the set with added style. 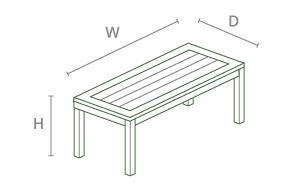 The weatherproof aluminium is lightweight and long lasting. The soft charcoal cushions with a foam core are like comfy clouds. Sink down onto the sofa or chairs and relax. 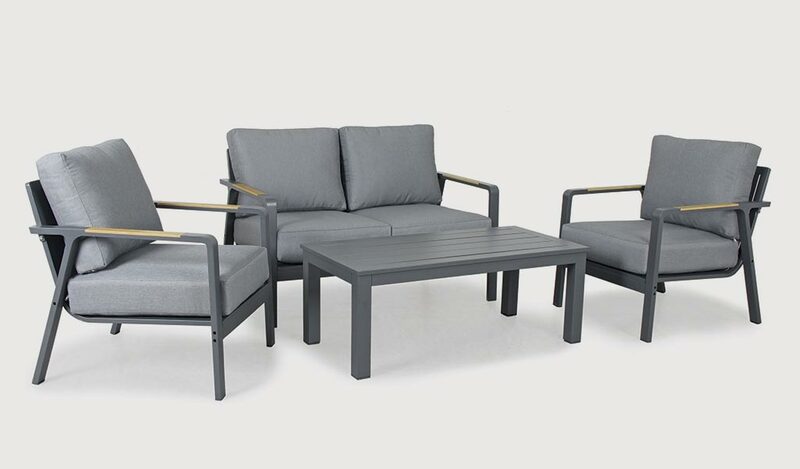 Sit four in the garden on the Paros Lounge, a high quality outdoor set with a double sofa and two armchairs. 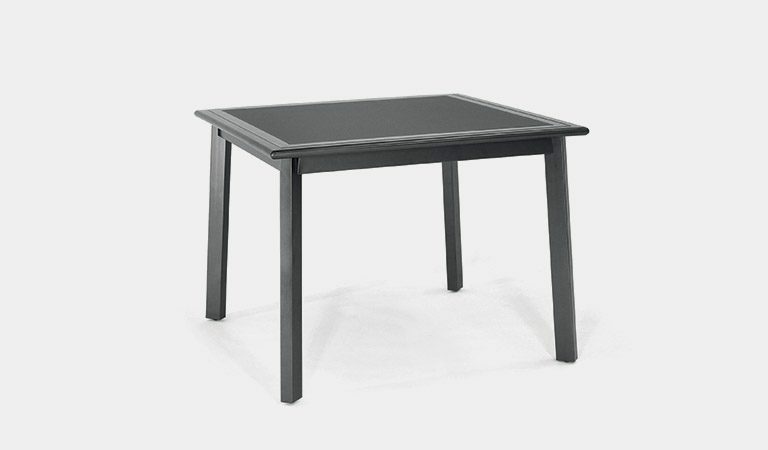 The Paros slat top coffee table includes a minimal design and is made from durable aluminium. 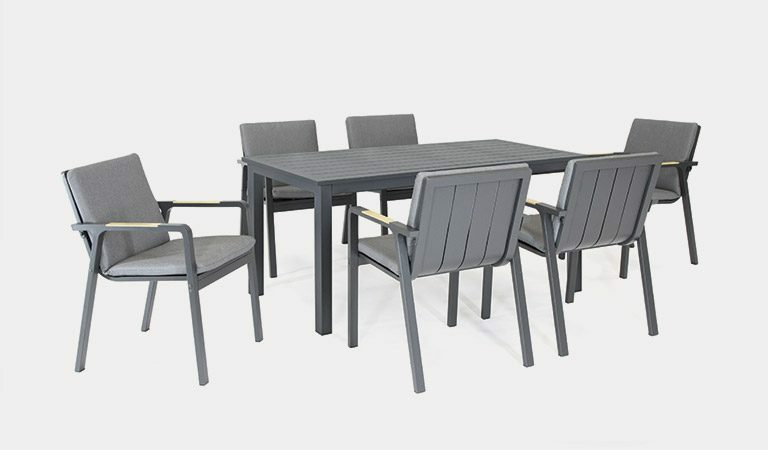 The weatherproof sets can stay outdoors all year round (except cushions). Hand painted, wood effect detail on the arms provide added style to turn heads, perfect for drawing guests to your garden furniture. 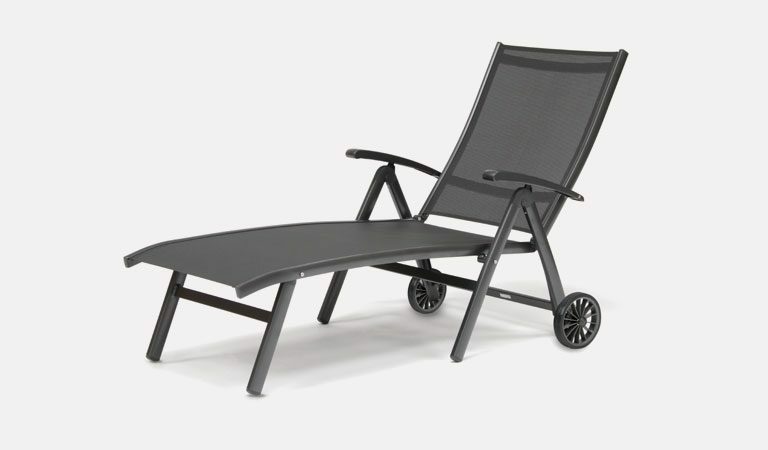 Non-slip cushions make resting easy as you unwind outdoors. 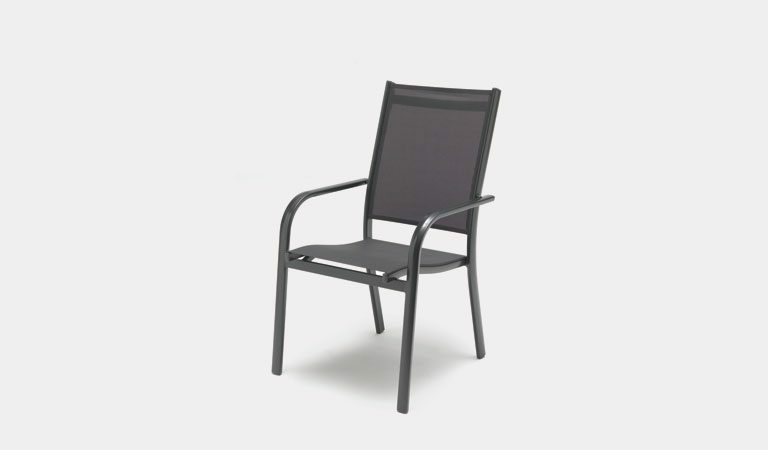 The scoop-back design gives the chairs a modern, sleek look. 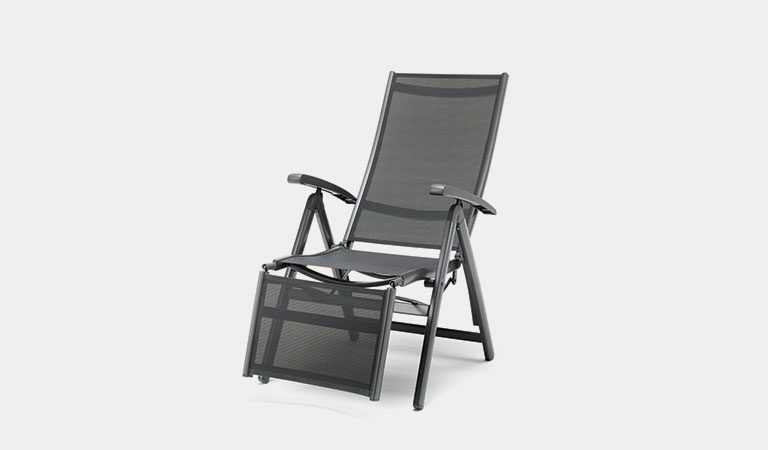 Sit in the shade or on a decking area of your garden and spend time with friends or family. 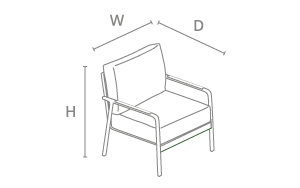 Set includes: two scoop-back Paros Lounge Chairs, Paros Double Sofa and a Slat Coffee Table. 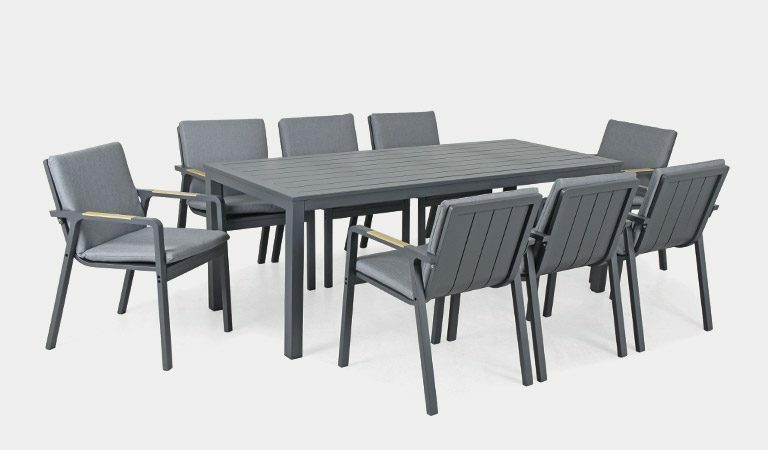 Material: Aluminium with hand painted, wood effect arms. 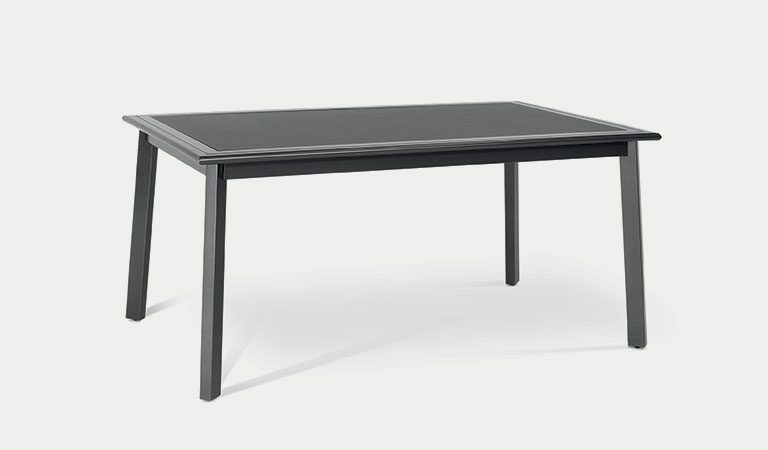 Paros Dining Sets also available.